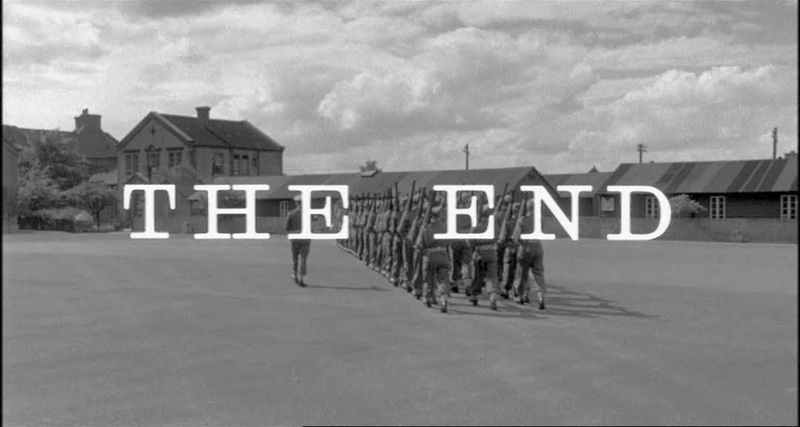 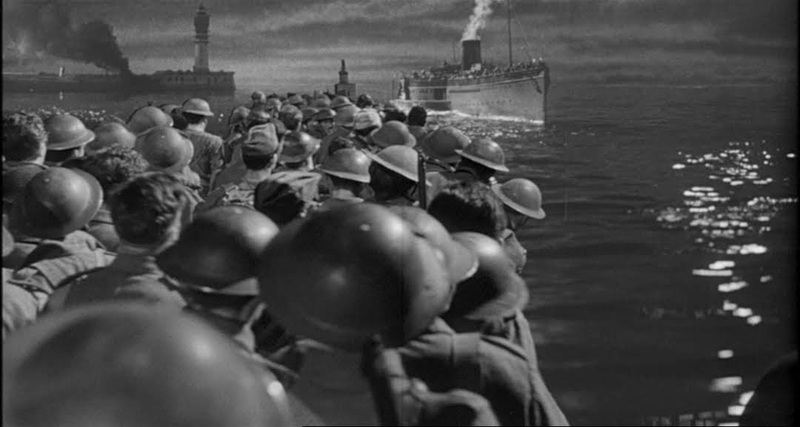 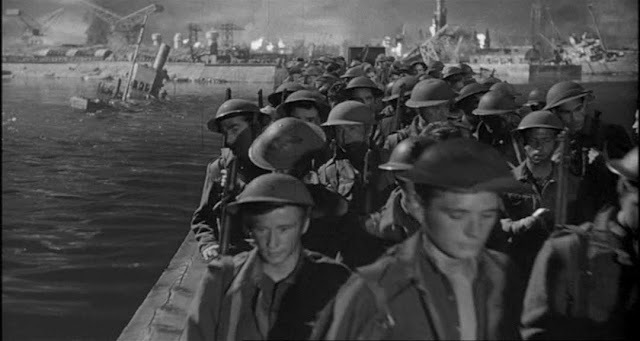 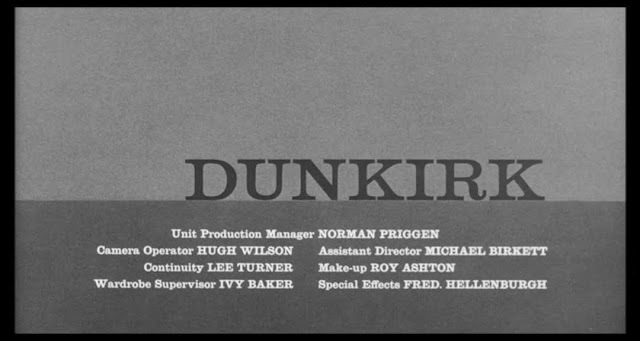 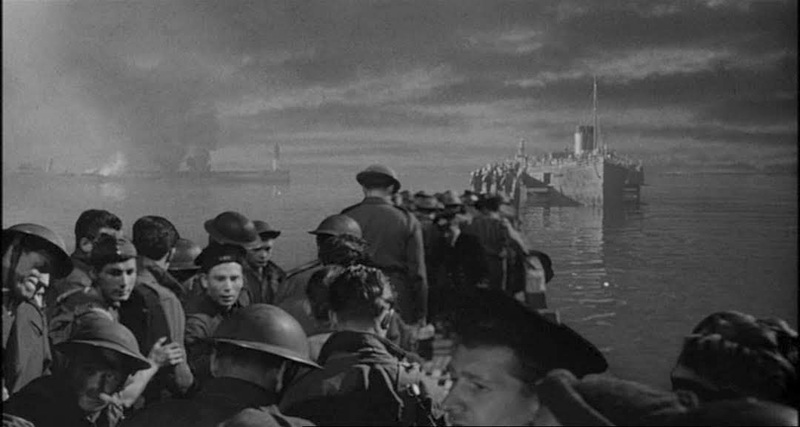 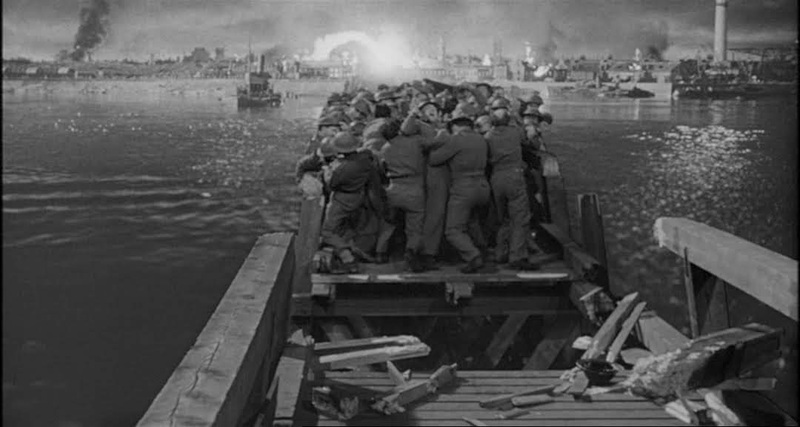 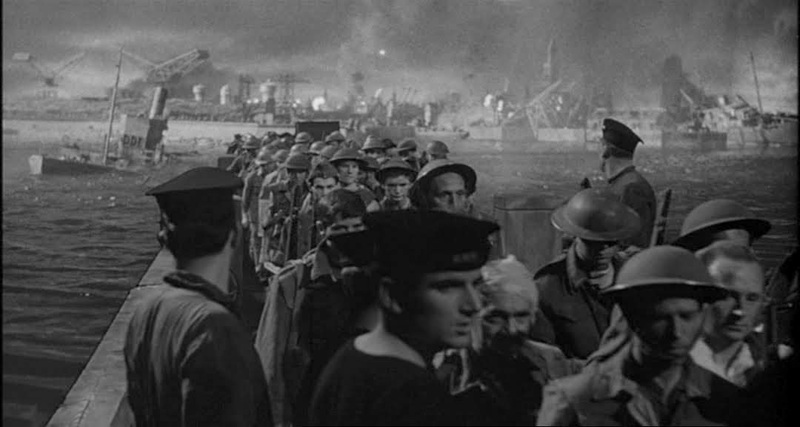 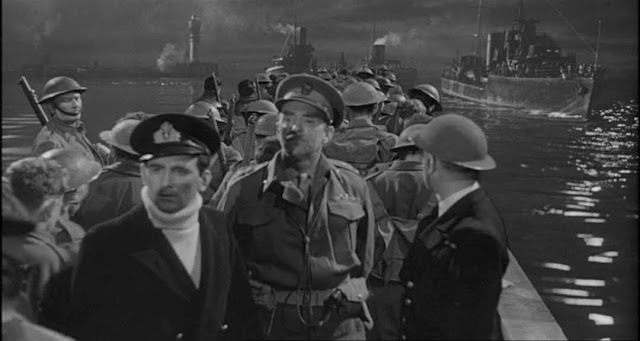 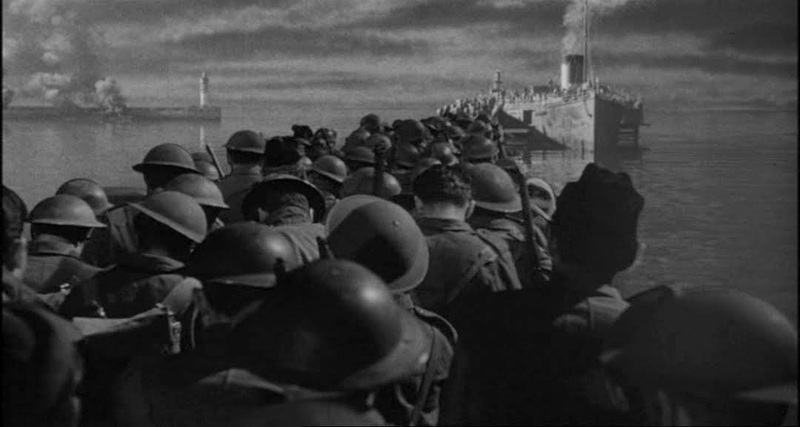 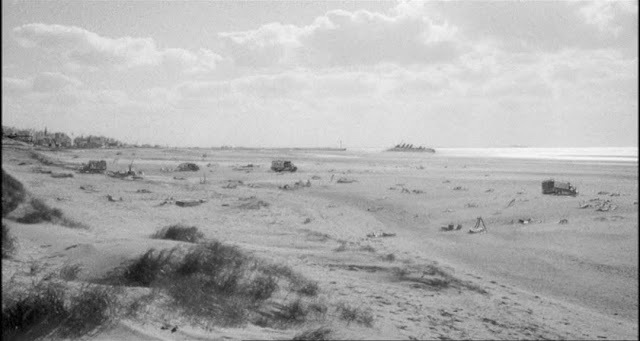 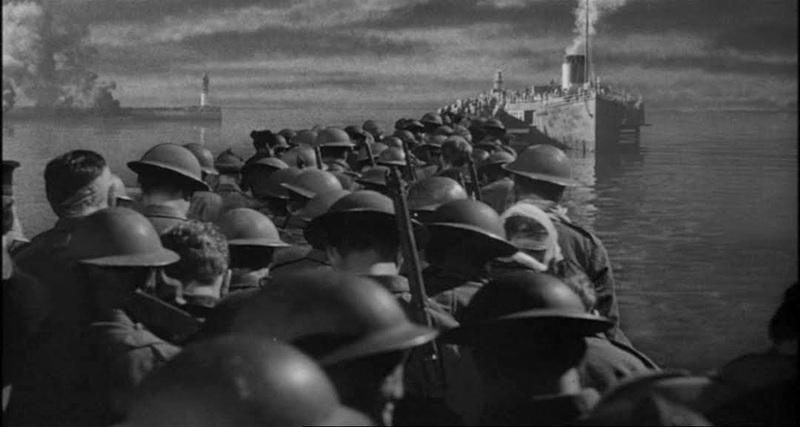 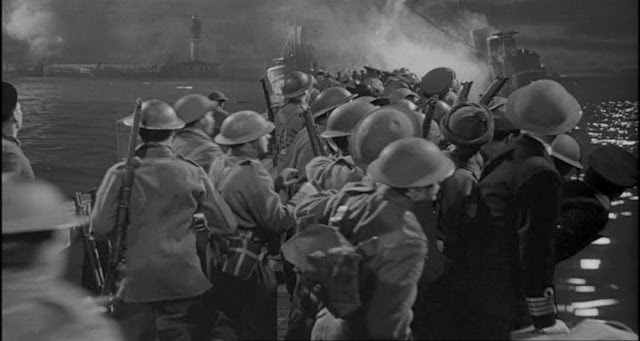 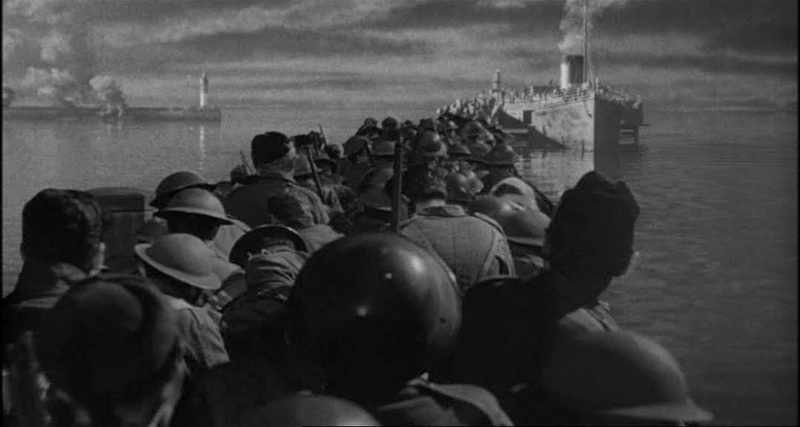 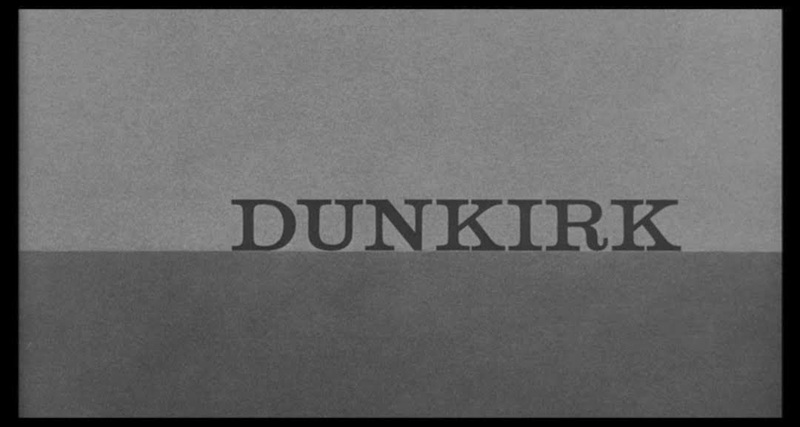 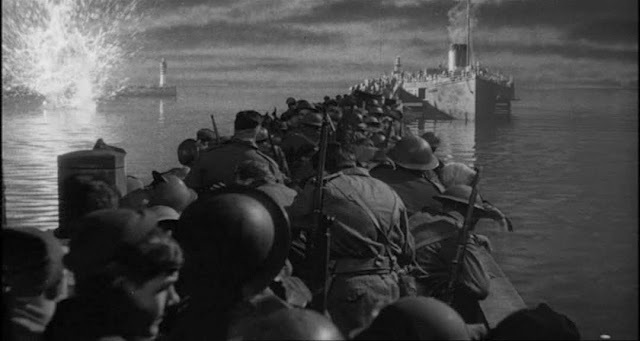 Terrific British film about the evacuation of the British army at Dunkirk in 1940. Nicely handled miniature work is mostly used as rear projected night backgrounds. 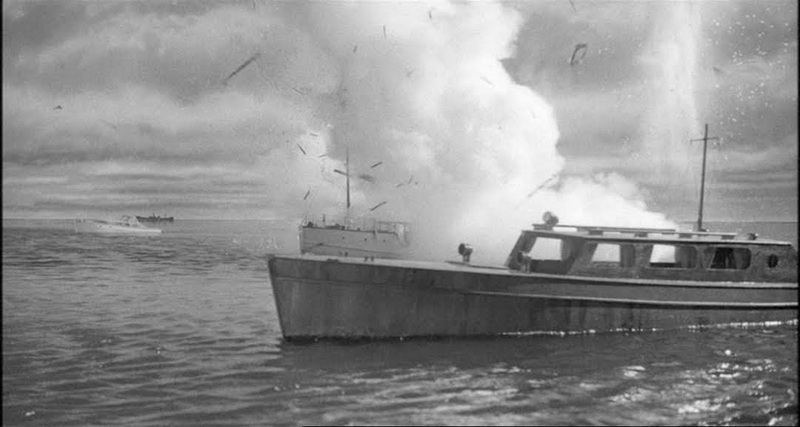 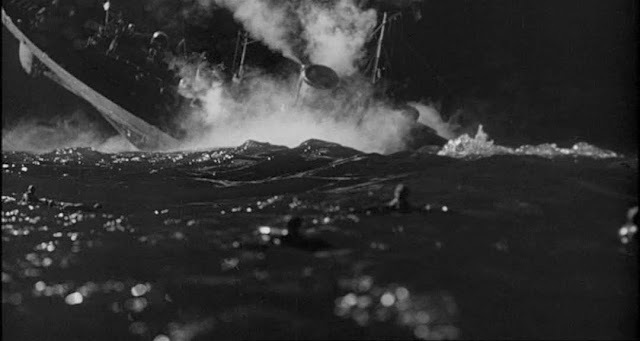 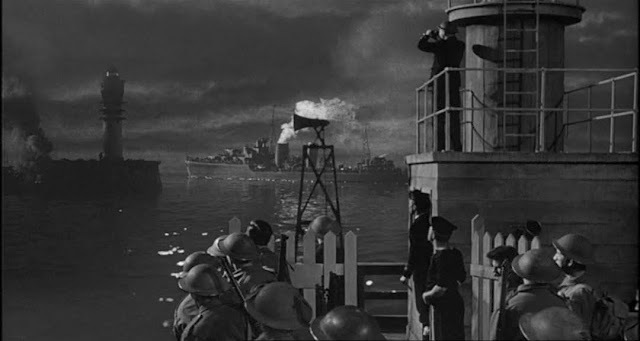 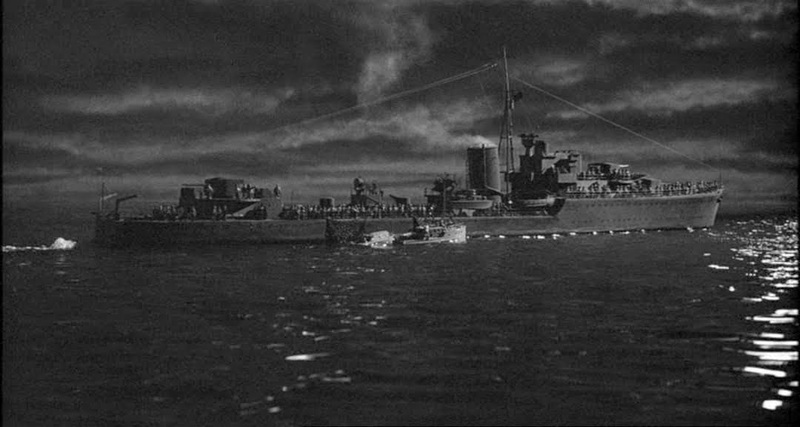 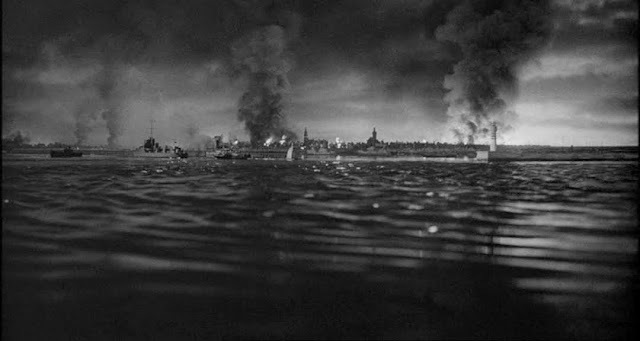 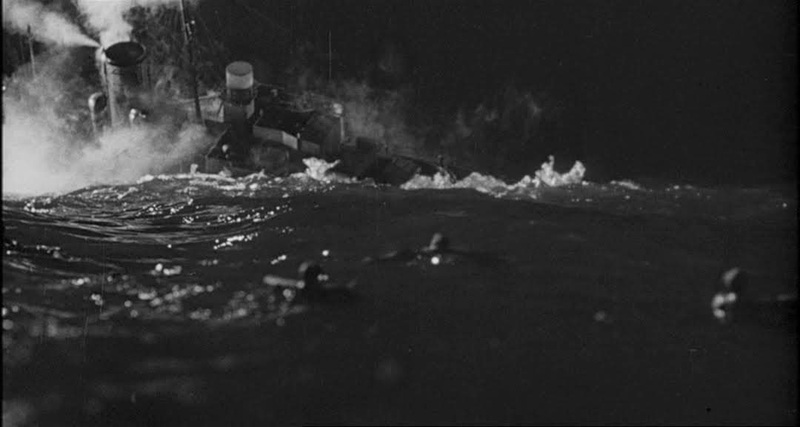 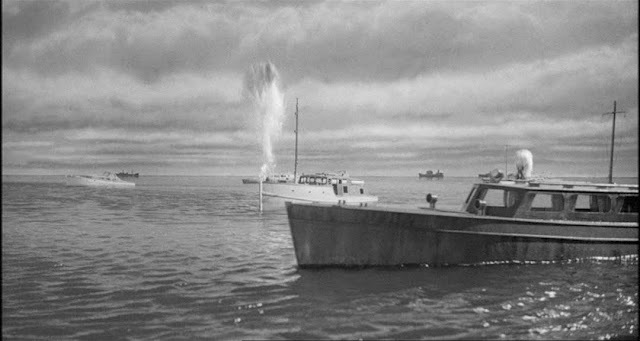 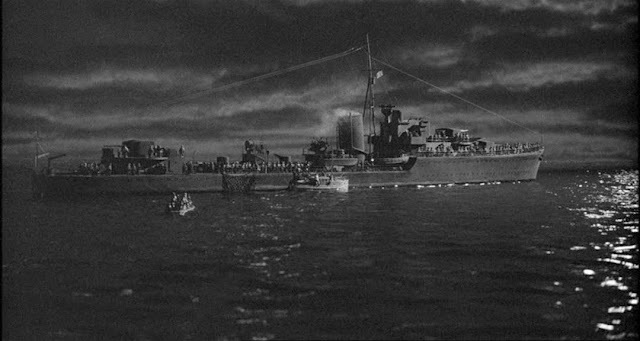 One shot of a sinking ship is lifted from the movie The Cruel Sea from 1953. 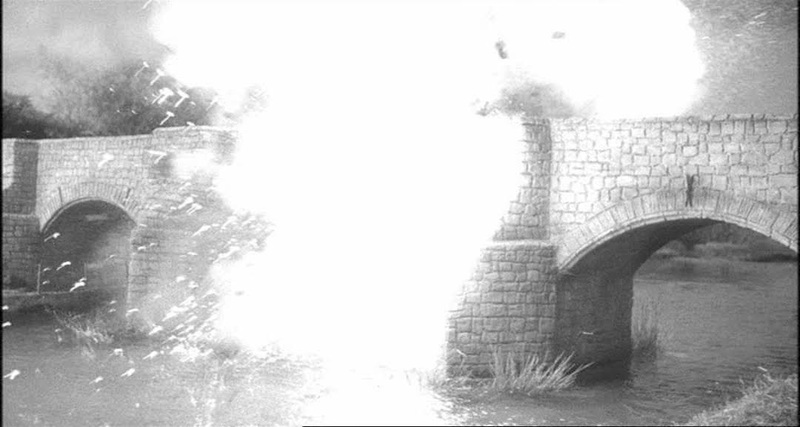 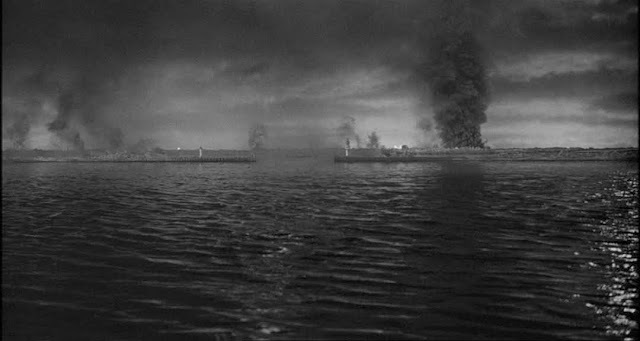 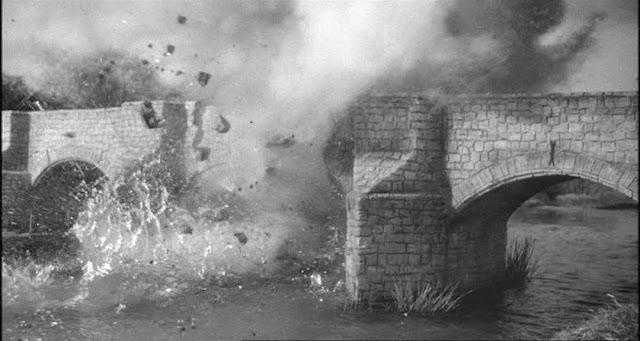 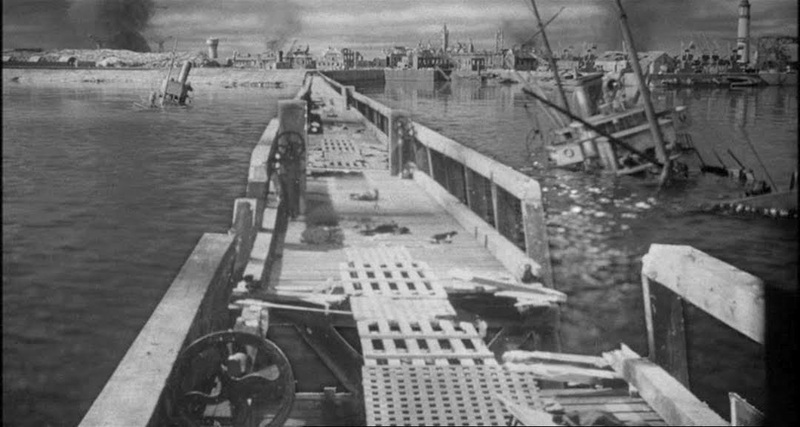 There is also a miniature shot of the demolition of a stone bridge earlier in the film plus a matte painting or two throughout. 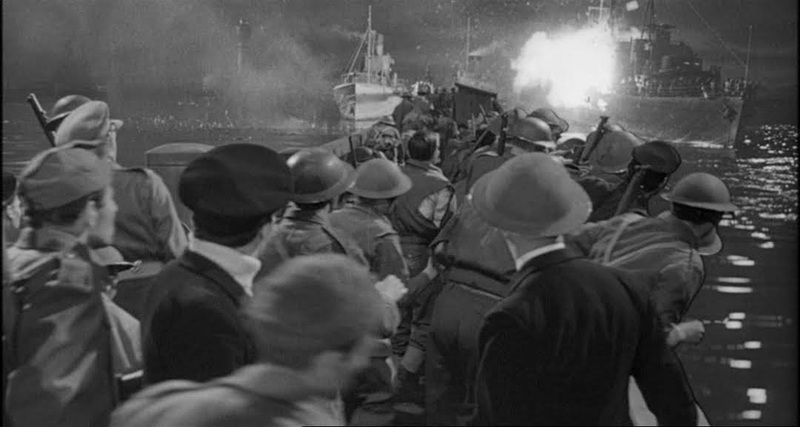 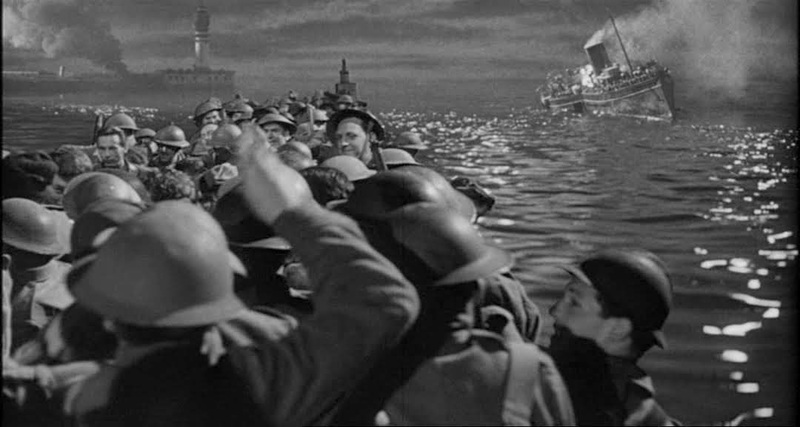 Sinking ship shot is lifted from "the Cruel Sea"